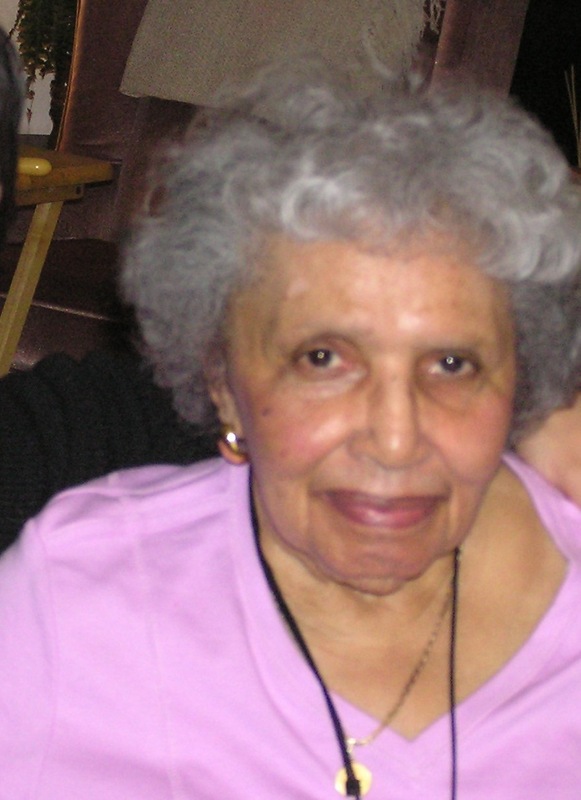 On this day a year ago, both family and friends said goodbye to one very gracious lady…Anne G. Broady, our Mom. She was born on September 11, 1925. Therefore, 9/11 meant something very special to our family long before the Twin Towers were hit by terrorists. She was both old school at the same time very contemporary. She loved Count Basie, Ella Fitzgerald, and Billie Holiday and was up with James Brown, Michael Jackson, and even Whitney Houston. She moved along with the times but never forgot or lost her values, principles, or faith. She could be a friend to anyone and gathered and kept many friends over the years. She was a friend to all and a stranger to none. Faith and family would be the two most important anchors in her life. She grew up in the church, sang in the choir, and made certain Patty, Johnny, and me were in church each Sunday. There was never a day when she was without her faith and belief in God. Mom married Dad in the mid 40’s and said goodbye to him far too soon when he passed away in 1976. She “never” showed any interest in another man after Dad and this was a fun topic of conversation we would often have with her. In the mid 80’s, Mom relocated to Washington State to live near me and shortly thereafter, both Patty and then Johnny also moved to Washington from the east coast. The family being close together again, she would become a daily part of our lives for the next 30 years. There is not enough space to share all that took place over these 30 years. So, the past year has been very challenging for Patty and Jim (Patty’s husband) and me. Johnny passed away in 2011. Mom was part of our lives each day and we miss her telling family tales and sharing old memories. We miss her enthusiasm for sports especially the Seattle Mariners, Seattle Seahawks, Earnhardt, Jr., and Tiger. We miss marveling at her ability to do difficult crossword puzzles or talking about soap operas. We miss sitting at the dinner table with her and watching her laugh until she cried while listening to our crazy stories about people and events. Truly, a day does not go by without feeling her touch or hearing her voice. We miss all this and sometimes it just hurts and there is very little that can be done about it. However, there are many more times when our memories causes us to laugh and reflect on how special it was to have her in our lives. Mom’s final days were nothing short of being days full of blessings. Not having to say goodbye to Mom suddenly and being able to say all you wanted or needed to say was a Blessing. We were Blessed to be there for her as we attended to her needs each day. We were blessed because we all shared the same faith, same God, and belief in the life after. Personally witnessing Mom’s Christian convictions to the very end was a Blessing to behold. For all of us to be spiritually in agreement was a Blessing. Those final days felt like one of Mom’s great Thanksgiving Dinners. Her home cooking was always the very best. We shamelessly ate all we could and left the table full of love and food. It was always a Blessing. On August 27, she left us full of love, richer from the experience, and Blessed. “And then we will always remember when the two sisters spent their final evening together. We really dreaded to see this time come because we knew the final goodbyes between our mothers would be very emotional. Mom and Aunt Pat were now facing that moment. Aunt Pat leaned over closely to Mom at her bedside and informed her she would be leaving in the early morning. Mom was expecting this. She heard, understood, and acknowledged what Aunt Pat was saying. This would be their last night together. With their hands together, their faces touching, they whispered their final goodbyes to one another. They held each other close. I felt God’s arms around us and none of us would forget this moment as we witnessed two loved ones saying goodbye and leaving each other for the final time. 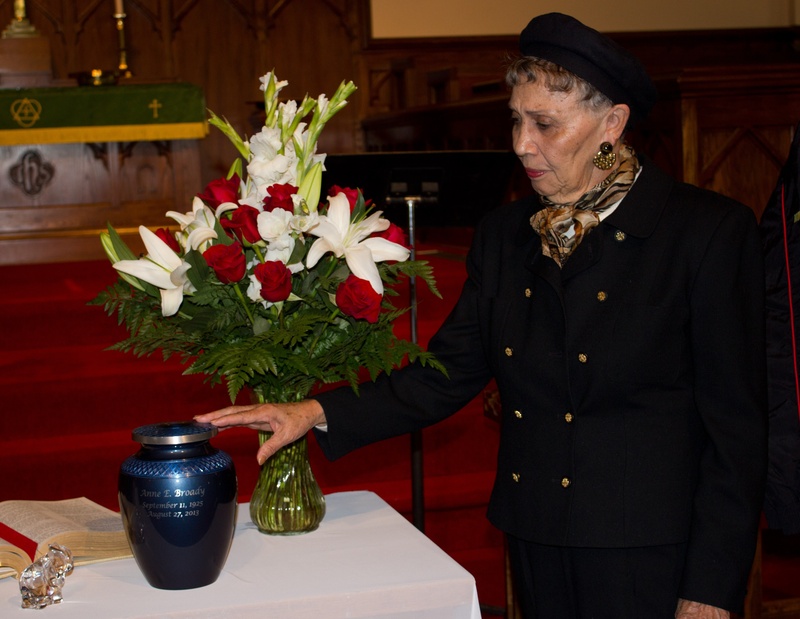 Aunt Pat’s departure was just as spiritually moving as her arrival a few days earlier. In the face of this ending, there would never be two more classy ladies and devoted sisters. These were our mothers and we grieved deeply for both of them.” Mom passed away four days later. Aunt Pat sharing a quiet moment of reflection. 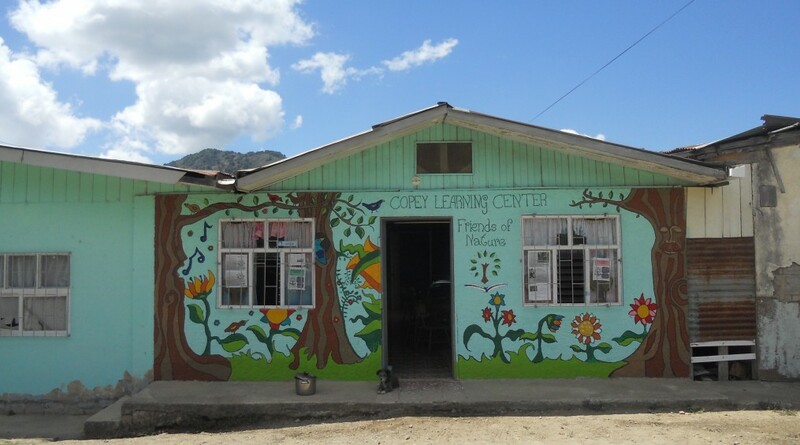 Following Mom’s memorial service, several family members suggested I consider writing a Blog to share news about the Copey Learning Center, an educational project in Costa Rica. Mom was fully aware of my interest in Copey and we would often talk about the project. It was amusing to her that I could go to an unfamiliar country on vacation and return home with another job to do. She heard all the news about Copey and began to feel my passion for the young children living there. Another suggestion inspired by family included setting up a scholarship fund to help the young children in Copey attend the Learning Center. As a result, today this Blog is showing great signs of success and the Anne G. Broady Scholarship Fund has paid for about 20 students to attend the Learning Center. The “Friends of Copey” is our living tribute to Mom and her love for family and church. The initial “friends” of Copey, where mostly family and friends honoring Mom’s life. Aunt Pat, Dr. Lin Church, Carol, and Bob along with so many others have helped Patty, Jim, and me experience this year without Mom in a very positive and productive fashion with our work with the Learning Center. We now face our next year without Mom and we expect we will continue having our sad moments. The precious memories will bring us joy and we will always “remember when”. ← Come On….It’s Time to Celebrate!!!!! Art, what a gift your tribute to your mother is. A gift to her, to her friends and family, and to those of us who never had the chance to meet her but see her spirit reflected in her son. Thank you for sharing a part of her–and you–with us. Joe, Thank you for the kind words and I only regret you and she never had the chance to meet. You might have ended up being my adopted brother. Beautiful post Art 🙂 I hope you are doing well!